From Chocowinity take Rt.#33E 13 miles to Clay Bottm School Rd., to Cotton Patch to Crisp Landing Rd. I like trying out different designs of snow photos. 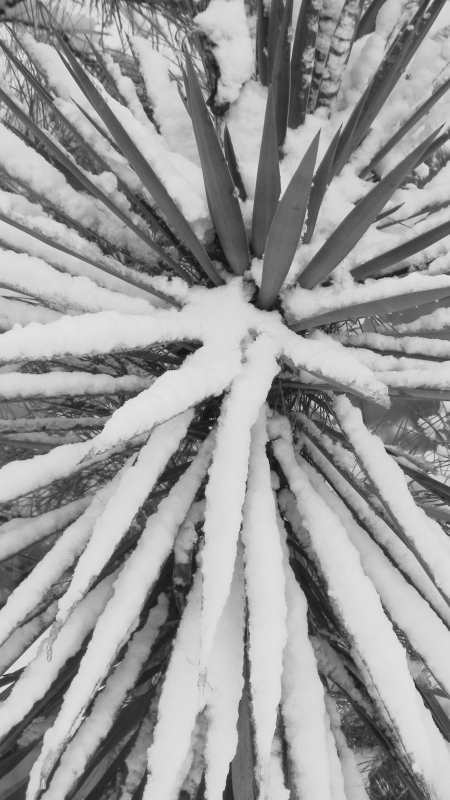 Snow on Yucca plant leaves.